This is a 110v portable conveyor with an 18" wide rubber chevron belt available in lengths of 10, 14 or 18 feet. 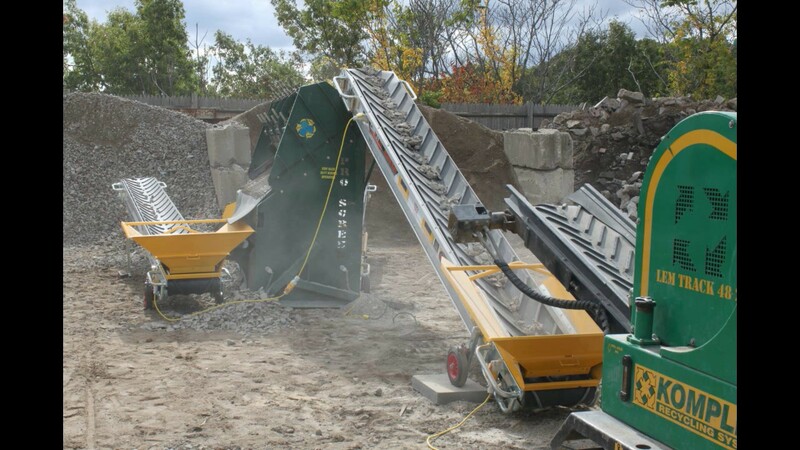 "A line of these (conveyors) moved excavated material from the yard, around the house and right into the dump truck - no wheelbarrows required, job done in a day!" LKS450-3.2 – 10’L x 18”W 256 lbs. LKS450-4.4 – 14’L x 18”W 353 lbs.